Analysts claim that the only way to secure a future in renewable and fuel efficient cars is to have an infrastructure that supports the vehicles. If the vehicles are never built and offered to the public, there is no need for the infrastructure. Companies produced VHS videocassettes on a large scale until compact discs were bought by the majority of the consumers. The infrastructure, DVD players and coaxial cables followed. 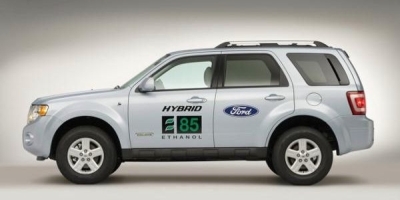 Ford has introduced flex-fuel cars in Sweden and Paris. The Ford Focus and the Ford Focus C-Max are flex-fuel vehicles with the flexibility of running on bio-ethanol or gasoline or any mix of the two. Consumers have the flexibility to stop at traditional gas stations for only gas, or stopping at a filling station that offers bio-ethanol (E85) to fill up the tanks. This gives the consumer the choice. The supply for the fuel available will come with more consumer interest. The more flexi-fuel cars on the roads, the more the traditional gas stations will include pumps to fuel cars with bio-ethanol. Most consumers will probably make their choice on price. This is the start of building a better renewable energy and safer environmental structure for cars. Bio ethanol is renewable energy source, meaning it can be re-produced nearly as fast as it is used. It is created from plants and biomass and would reduce carbon-dioxide emissions. Cereals, sugar beets, wood waste, and other plants and biomass can be used to produce bio-ethanol. Ford analysts and environmental experts believe that the use of flexi-fuel cars can reduce carbon-dioxide emissions up to 70%. Carbon dioxide is considered the major gas responsible for global warming and creating a greenhouse effect on our planet.